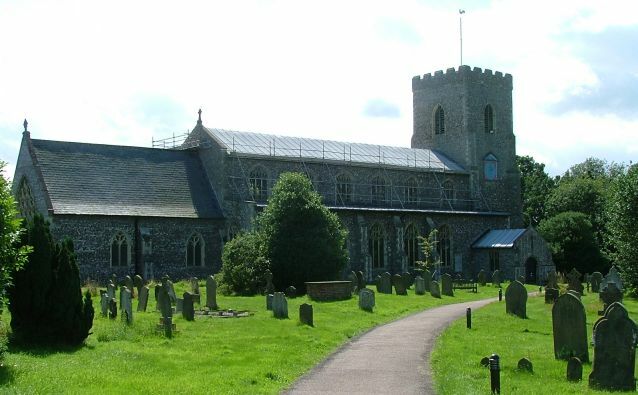 Ludham is a large, pleasant village on a surprisingly busy road in the heart of Broadland; although I was not as aware of the tourist traffic generated by the Broads here as much as I had been elsewhere, drab Stalham and dismal Acle, for example. St Catherine makes a statement with a very large graveyard, and is so much the heart of its village that we did not bother to look at maps as we approached. It was simply there. The church was engulfed in scaffolding while we were here, which never worries me; it's good to see that someone is taking care of the place. 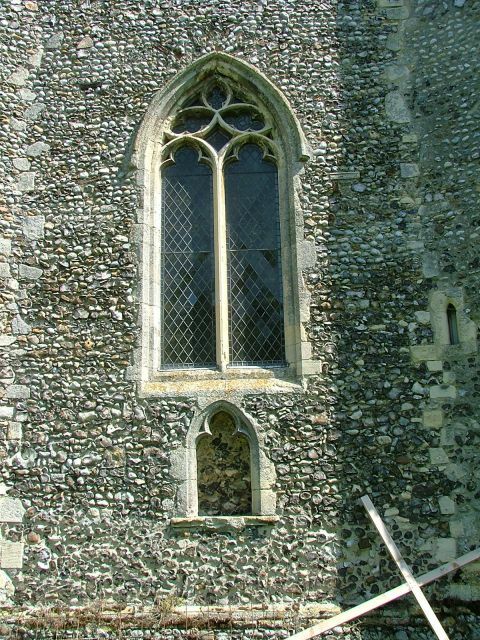 I had a slight frisson of fear that the great treasures of the church might be boxed in, as hundreds of disappointed visitors for the last year and a half had found at Westhall in Suffolk, but this was just a windows and walls job. 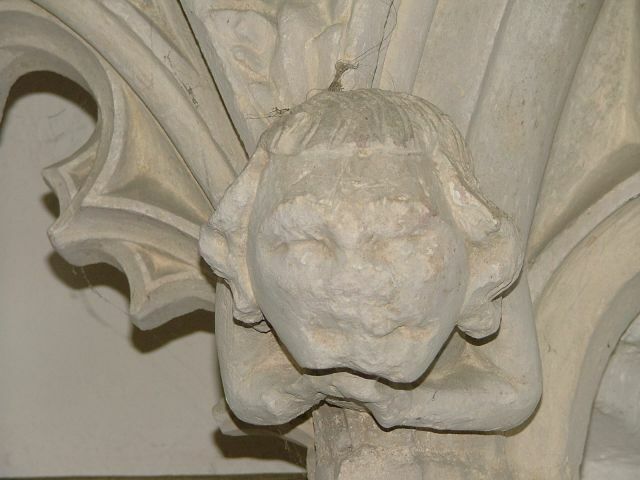 I mention Westhall and Ludham in the same breath simply because they are two of the churches referred to in Eamonn Duffy's majestic The Stripping of the Altars, the book which had sent me on this infuriating journey in the first place. 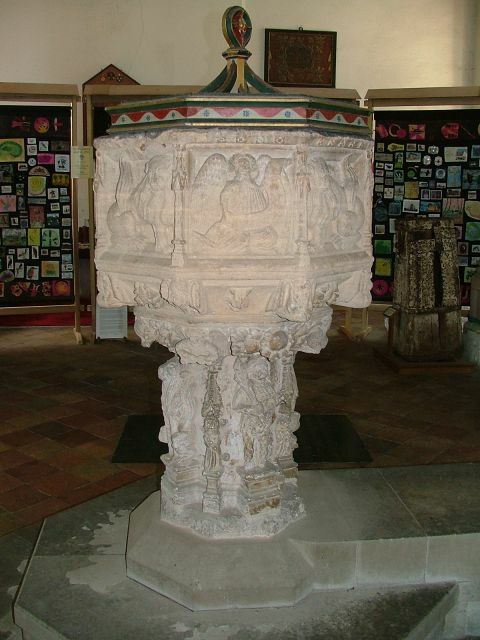 As with Westhall's font, I was hoping to see at last something inside St Catherine that had long appeared in my visions and dreams. 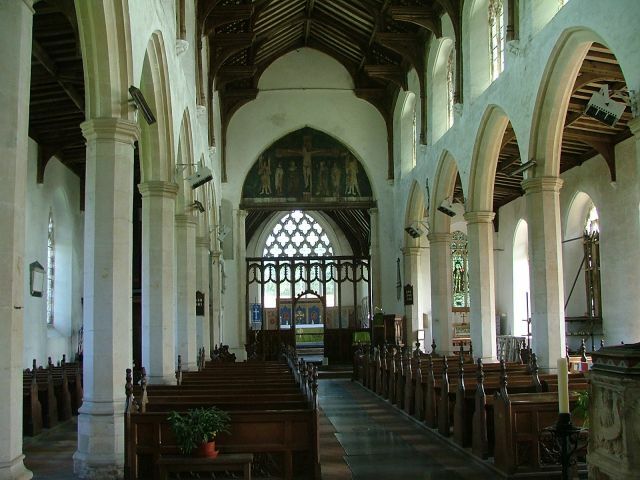 The church is replete with wonderful window tracery and fine arcades. 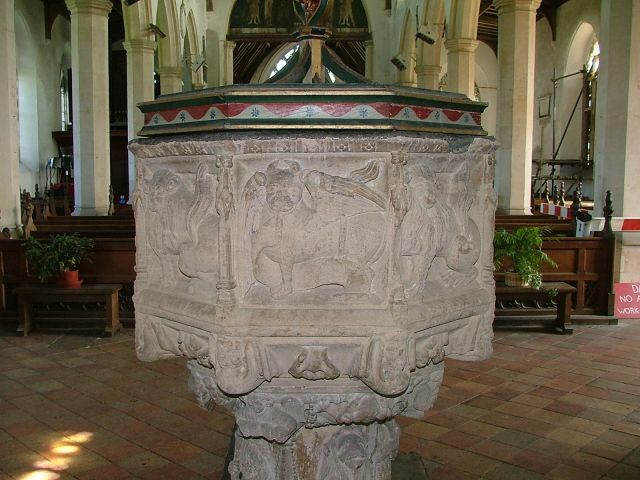 There was a huge amount of money hereabouts in the 15th century. 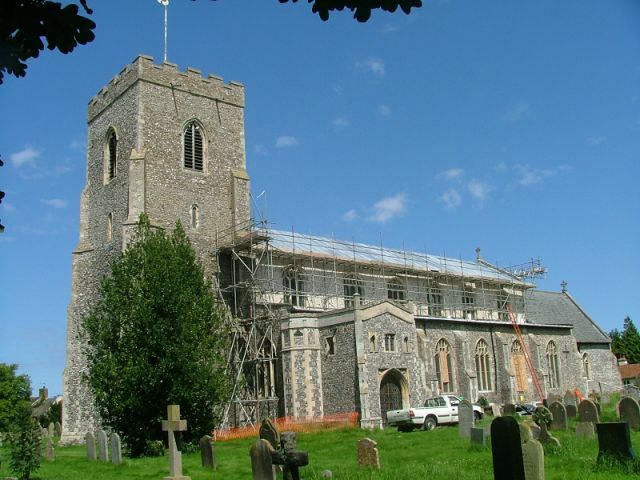 This might be something to do with the presence of St Benet's Abbey on the riverside; as at Blythburgh in Suffolk, Ludham became a place that was spiritually important, and consequently somewhere that people felt confident about leaving bequests to promote the health of their immortal souls. They were not to know that the Reformation would put an end to all that, of course. The English Reformation is so often presented as a gradual metamorphosis from Catholic to Protestant. In fact, it was a violent fracture, and nowhere more violent than in East Anglia, where, when the gloves came off under the boy King Edward VI in 1547, roving gangs of hooligans wreaked immense havoc in the name of the puritan cause of his fascist advisors. Much of the damage is blamed on Cromwell's men of a century later; but this simply isn't true. 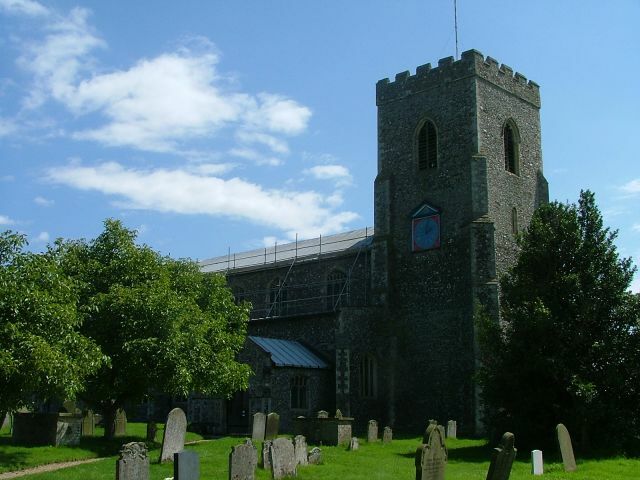 The great roods described on the introduction to this church were toppled by the Boy King's champions, in every church in the land. Not a single one survived, anywhere in the kingdom. 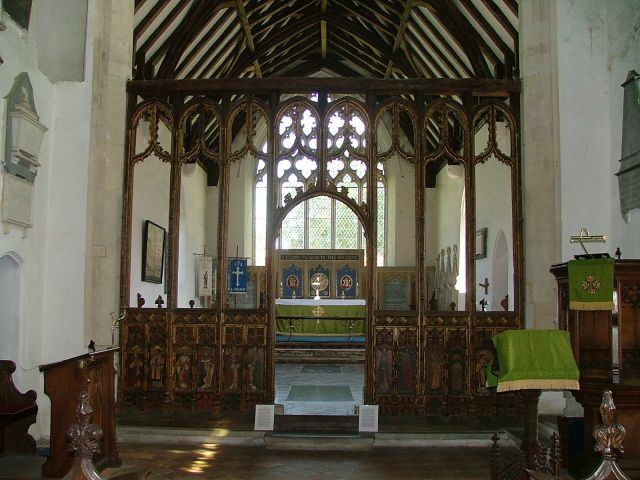 Screens were generally retained as an expedient measure; there were plenty of uses of a chancel space. Priests were replaced with Preachers. Bishops were to be done away with. All was set fair for the Protestant Reformation. And then, the Boy King died. This wonderful accident of history was a pivotal moment; without his death, England would be a quite different country today. 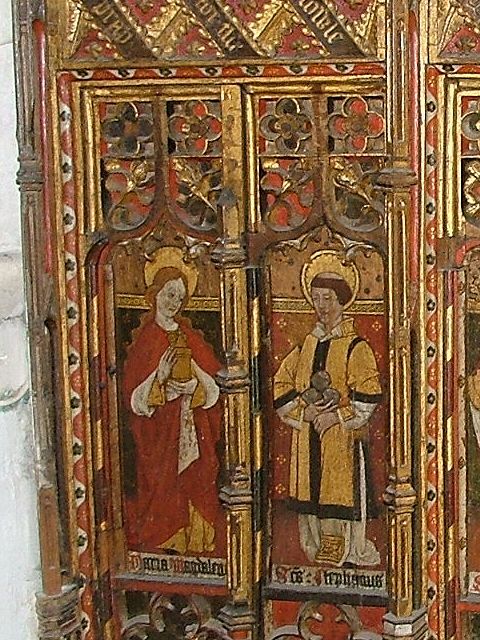 Edward's advisors were preparing a presbyterian system of church government without Bishops or central ecclesiastical authority - there would be no Church of England as we know it if they had succeeded. 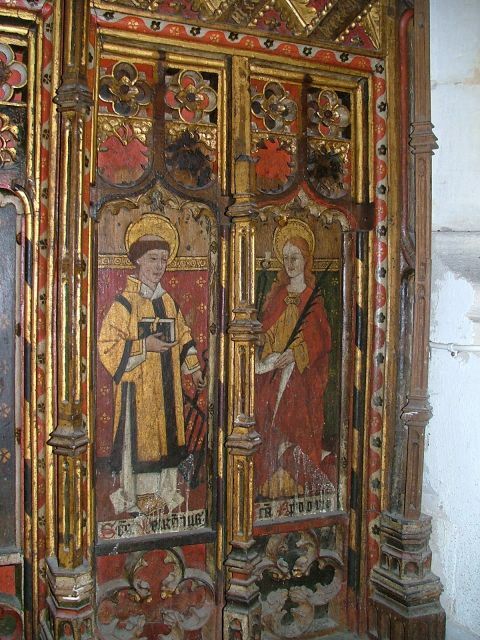 In his stead, despite the efforts of a cabal of London merchants who wanted to place puritan Suffolk girl and distant cousin Jane Grey on the throne, came his older sister Mary. 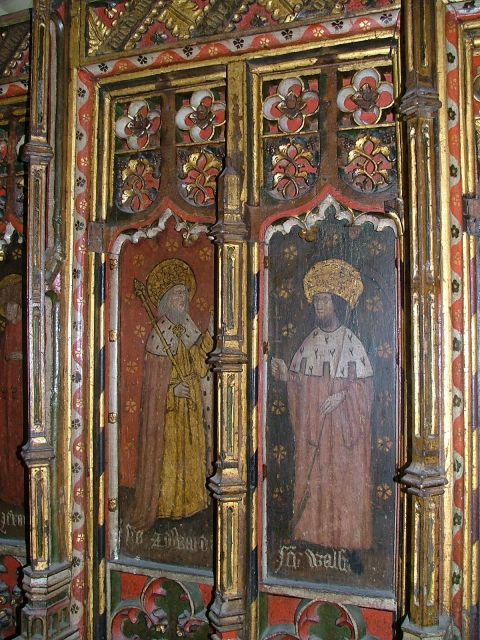 For several reasons, her brief reign is now considered unhappy, but she played the leading hand in fashioning the Church of England as we find it. She reinstated the authority of the Church, and returned it to its pre-Reformation structure, which largely survives today. 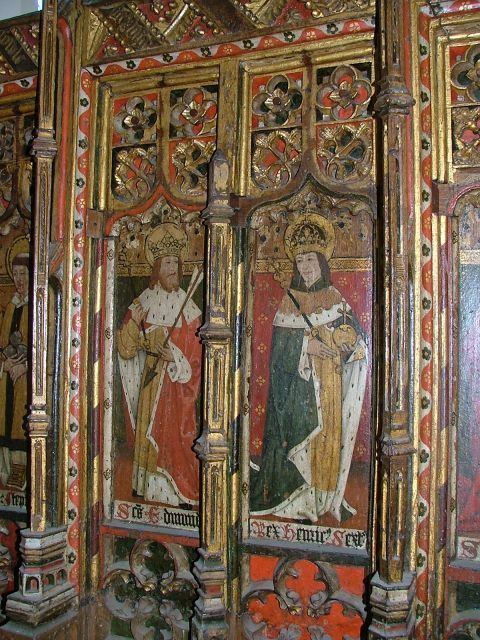 Taking us back into Europe, she went to great lengths to restore the Catholicity of the English Church. Part of her plan included the replacement of the great roods. The parishes seem to have greeted this plan warmly. The English people were not terribly keen on Protestantism, not dipping more than a toe into its water until the Elizabethan settlement won them over in the 1570s. 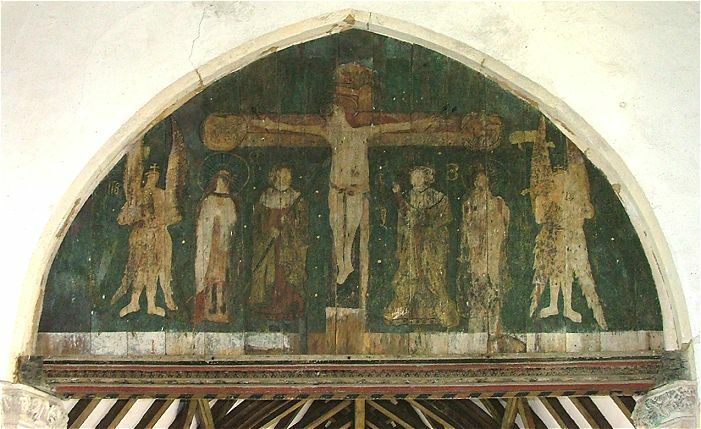 As a temporary measure, most parishes seem to have either painted a rood above the chancel arch, or, more frequently as at Ludham placed a boarded tympanum within the arch, and painted it on that. They relaxed. 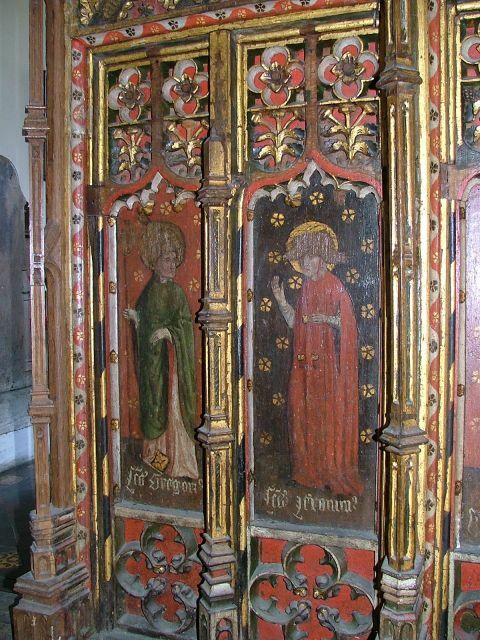 There would be time to replace their temporary rood with the real thing. But even as they stretched out in the summer sun of 1557, Mary was dying. Her Archbishop of Canterbury, Cardinal Pole, was dying too. At last, the Protestants would have the upper hand. 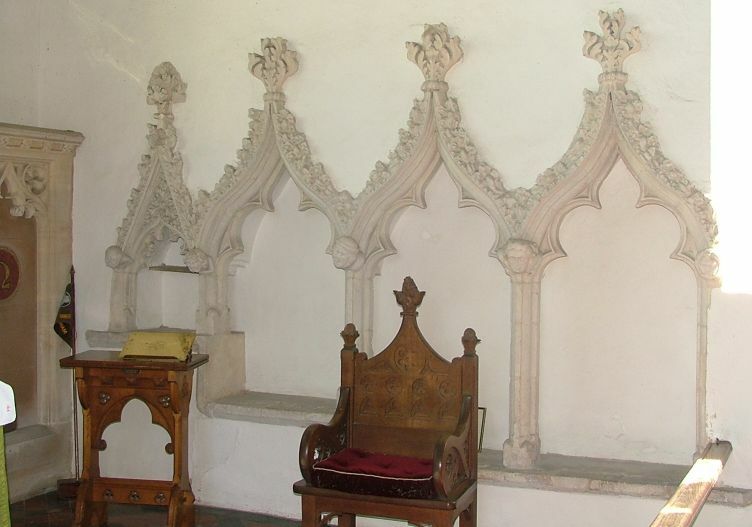 With Mary's death and the swift enforcement of Elizabeth's claim, an ordinance went out ordering the destruction of roods and the placing of the Royal Arms in every chancel arch in the land. 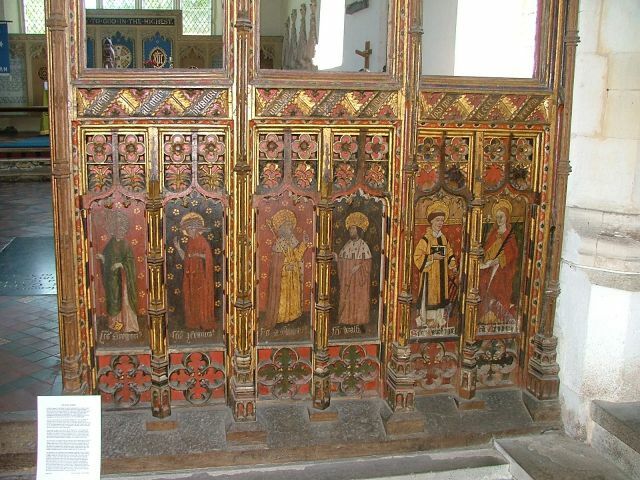 The obvious thing to do was to paint it over the temporary rood as a stopgap measure. 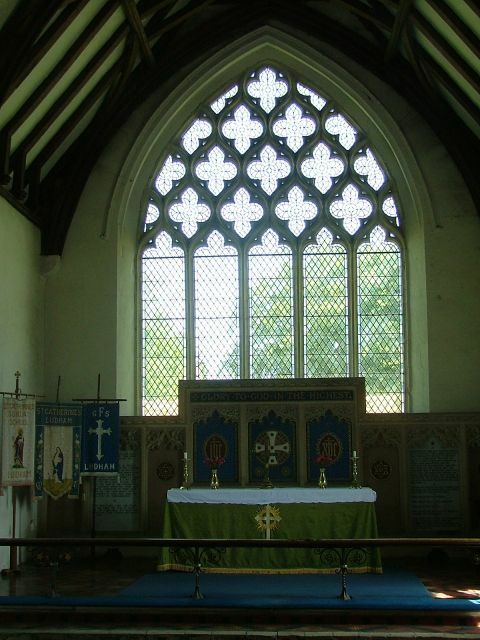 But here at Ludham the parish did something different. 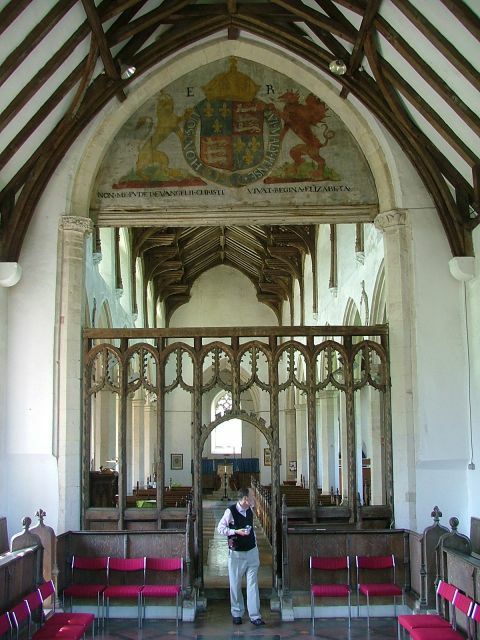 They painted the Royal Arms on canvas, and stretched it over the rood. Why did they do this? Did they think that the tables would turn again? Was it an expedient attempt to respond to another return to Catholicism? As it turned out, they were wrong. 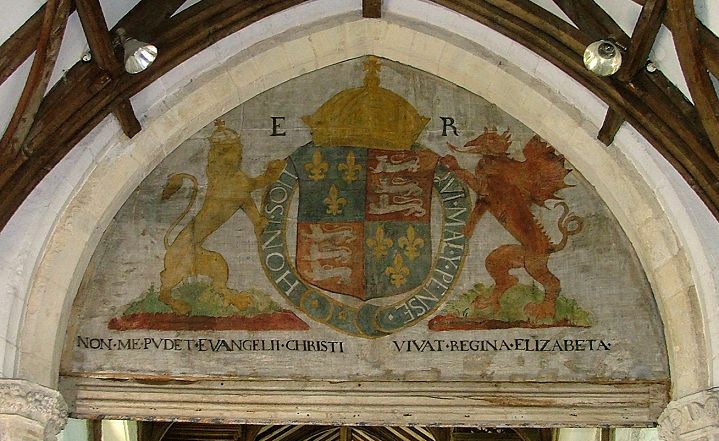 Elizabeth's reign would last longer than that of any other English Queen until Victoria. 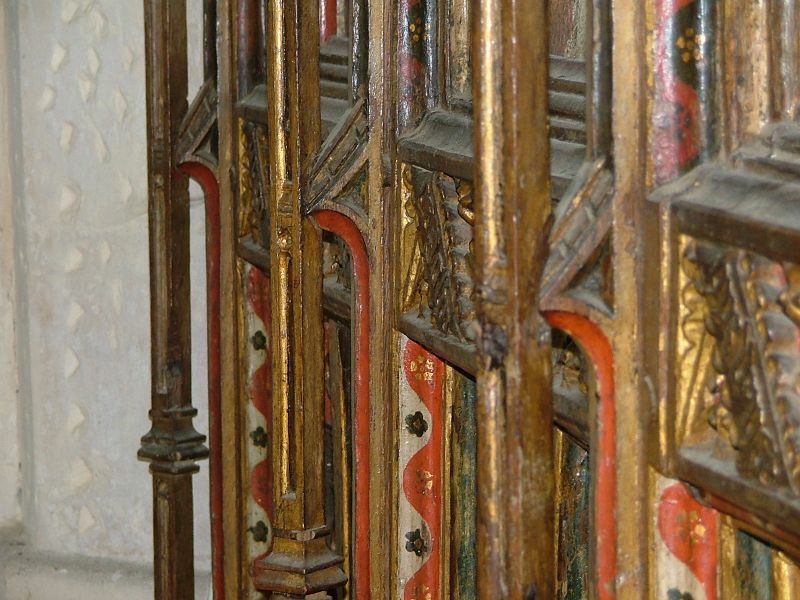 The carpenters would come and erect the real Arms, and the canvas Arms and board Rood would be dismantled. All over England, such things would be destroyed. But not here. 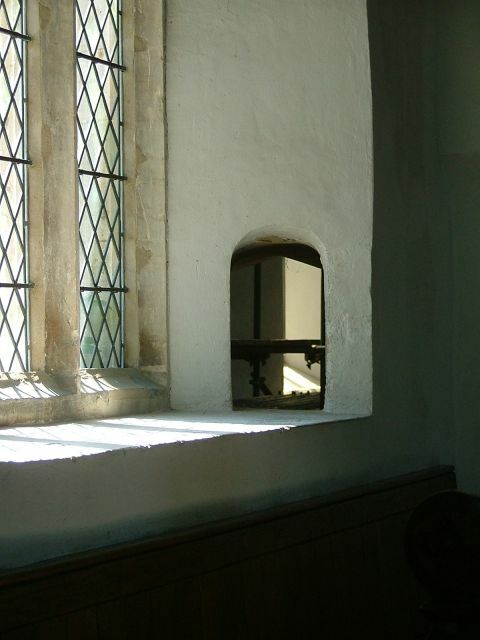 Here, the Ludham Rood and canvas Arms were blocked into the rood loft stairs as part of the Puritan project of desacramentalising English churches. And there they stayed, until an 1879 Sunday afternoon outing of the Norfolk Archeological Society led to their discovery. Bet they felt pretty pleased with themselves. 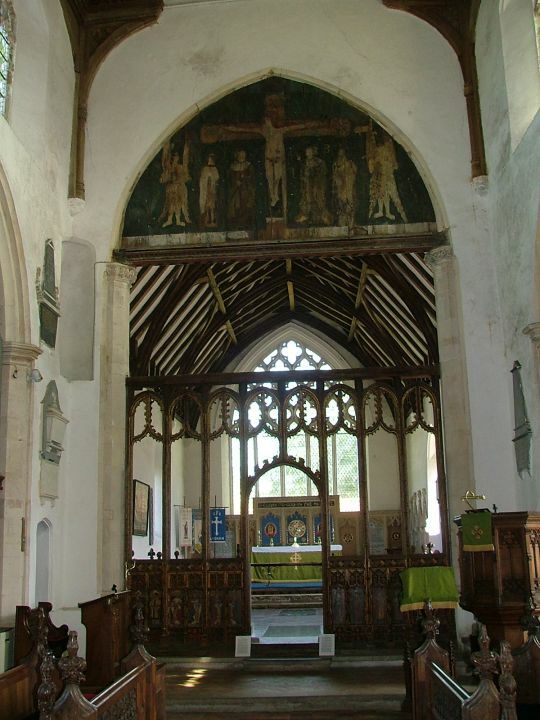 And now, they are reinstalled within the chancel arch, both the Rood (facing west) and the canvas arms (facing east). 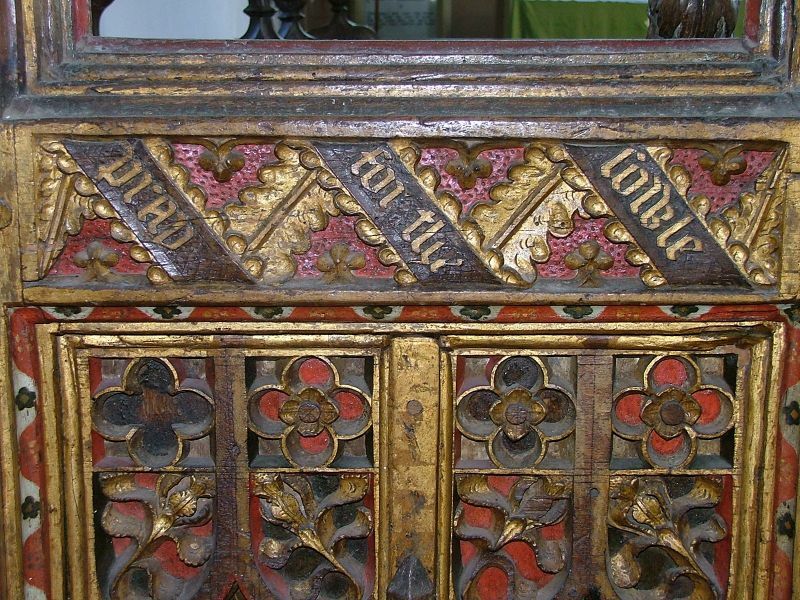 The rood is extraordinary, because no pre-Edward VI rood survives, and this is one of the few Marian examples. The Elizabethan Arms are similarly rare. 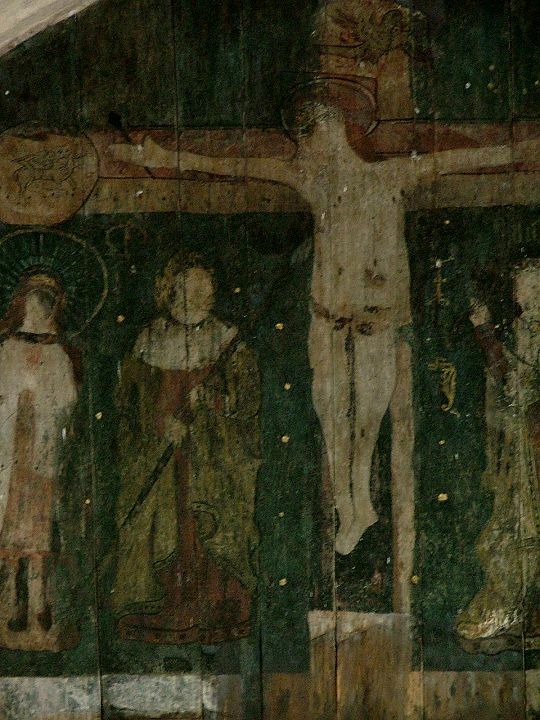 The rood is astonishing; the twist of the tortured Christ's head pulls it all out of balance, and although it is almost perfectly symmetrical his attitude skews it towards the lower left. Mary is in anguish, John grief-stricken. 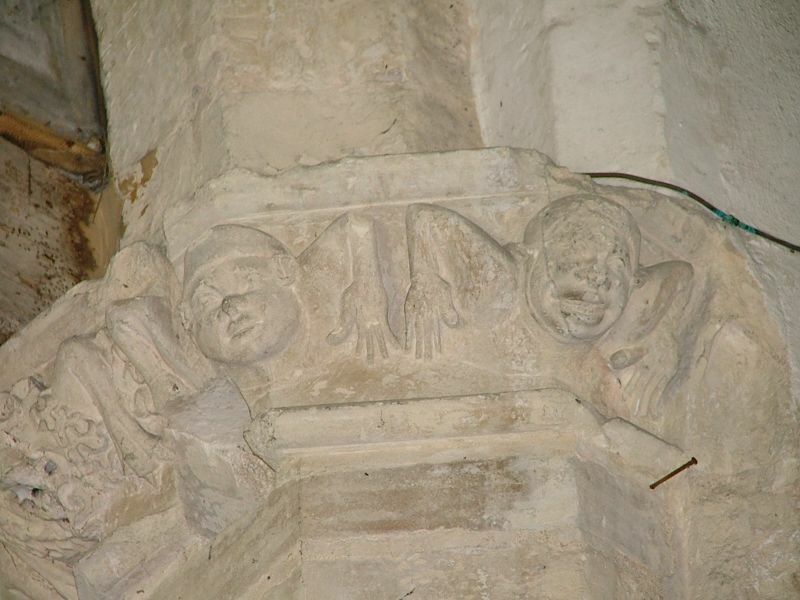 Angels are grim-faced, determined; the piece seems ancient. The Arms, by contrast, are secular, triumphant; our first taste of the modern age. 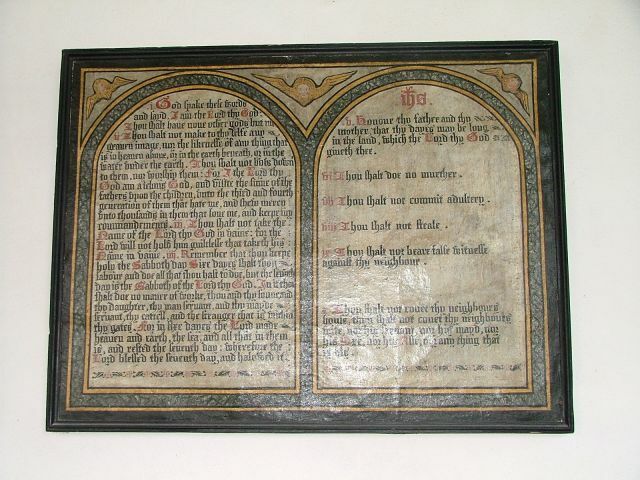 Non me pudet evangilium Christi, the legend reads: 'I am not ashamed of the Gospel of Christ'. The whole thing is breath-taking. 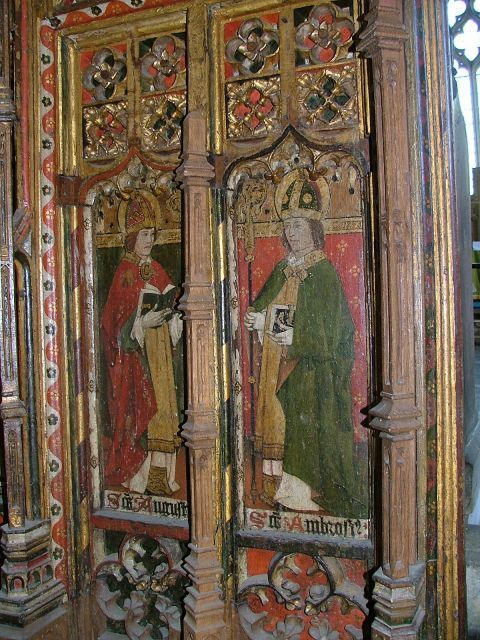 The Saints form a classic East Anglian sequence, matching in pairs either side of the arch. 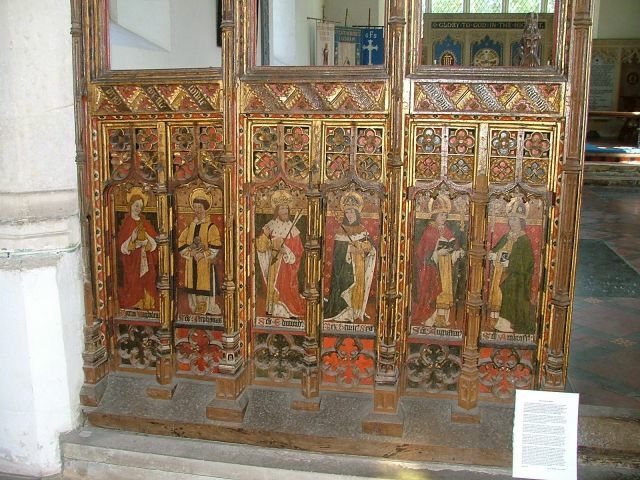 They are, left to right on the north side (right to left on the south side in brackets): Female symbols of soothed distress St Mary of Magdala (St Apollonia), Martyrs St Stephen (St Lawrence), East Anglian symbols St Edmund (St Walstan), English Kings Henry VI (St Edward the Confessor), Latin Doctors St Augustine (St Jerome), and Latin Doctors St Ambrose (St Gregory). The four Latin Doctors are virtually essential fixtures in this neck of the woods. 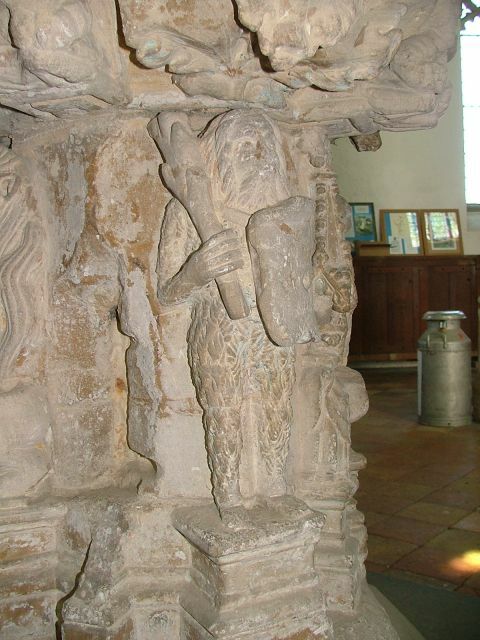 Ludham has one of the best East Anglian-style 15th century fonts, and contemporary with it are superb capital carvings within the chancel arch. This is a wonderful church, very moving, prayerful without being distant, welcoming without being touristy. I look forward to going back.